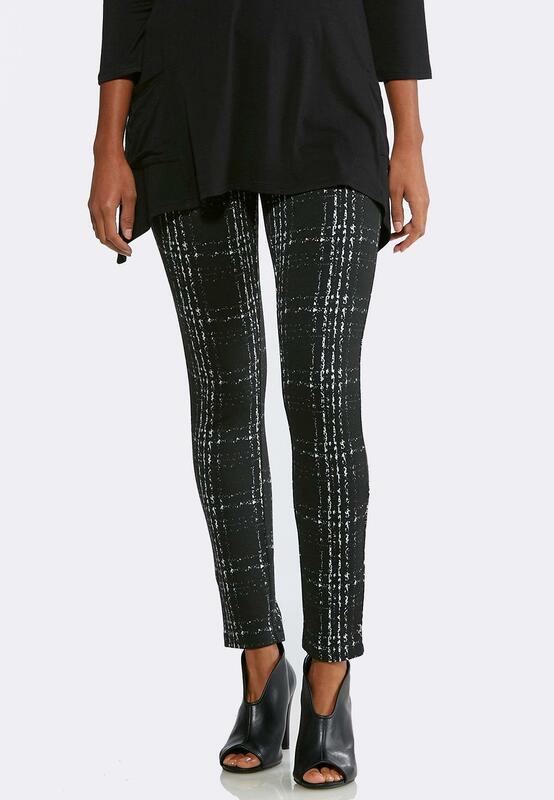 Feel modern and chic in these stretch knit leggings, featuring a blurred plaid print, soft fabrication and textured waistband for a stylish and comfortable finish. These pants are amazing and are a very flattering fit. I hope Cato makes more. The material feels thick and luxurious. It would be awesome to see these with pockets on the front stitched above the fabric. I honestly think these could be a best seller.